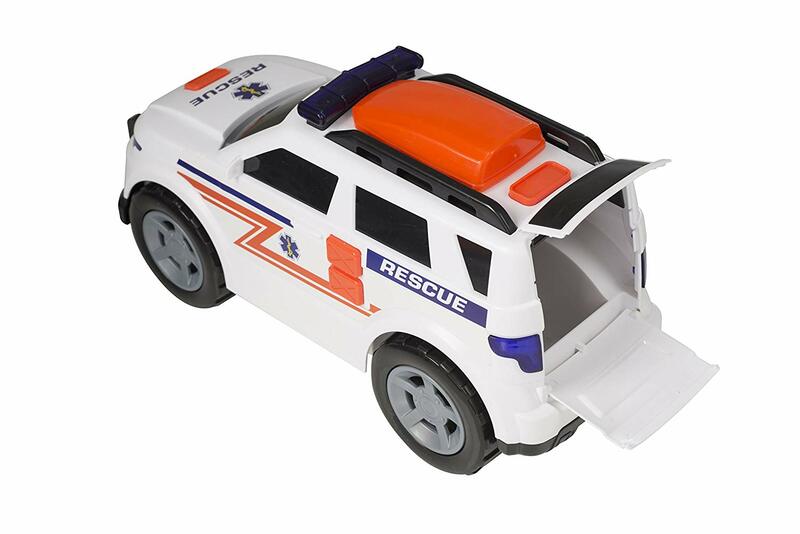 This Light & Sound Off Road 4x4 Rescue vehicle encourages learning through play. 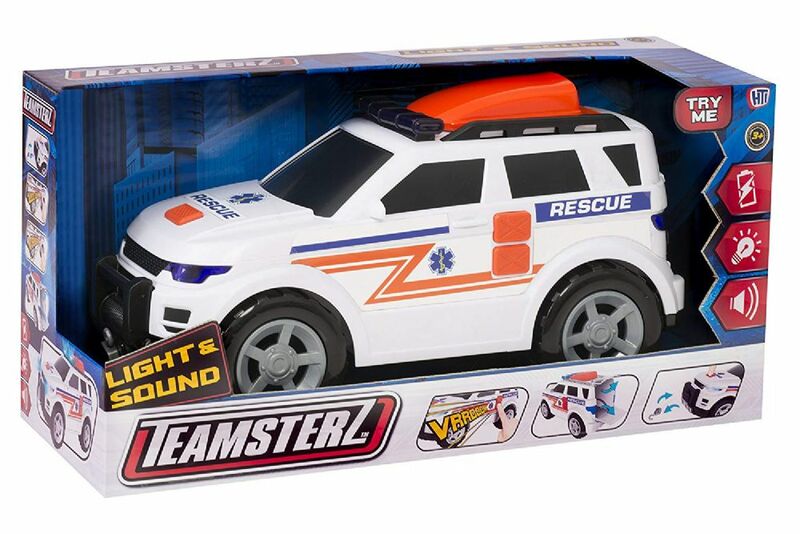 It features headlights, emergency blue flashing lights and siren sounds. Race the free-wheeling vehicle to the emergency. Open the rear doors to load and transport equipment or injured civilians. Role-play towing another vehicle with the front winch - just like a real-life rescue 4 x 4.